You want something flashy, lovely and outstanding, then this latest smartphone from Elephone might definitely be what you’ve been waiting for. Elephone has released a new flashy Elephone A5 with 5 cameras, bigger battery, bigger storage but with pocket friendly price. 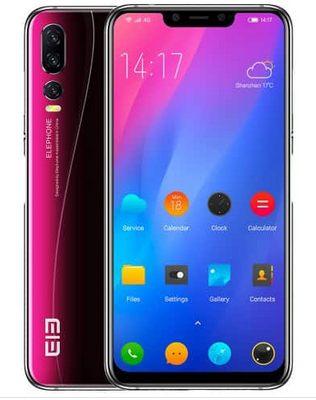 Elephone A5 features a 6.18-inch FHD+ display with a notch and 2246×1080 pixel screen, Helio P60 processor, 4GB/6GB + 64GB/128 onboard storage. It comes with side fingerprint scanner, Faceunlock and run Android 8.1 Oreo out of the box. Trippe rear cameras of (12MP+5MP+0.3MP) and selfie dual cameras of 20MP+2MP. It is housed by a battery juice of 4000mAh capacity with support for fast charging. This Device is good on its own. The RAM and the battery is the selling point.